I was just sorting out some pictures I took whilst in the Kruger Park earlier this year, and this picture is by far my favourite. 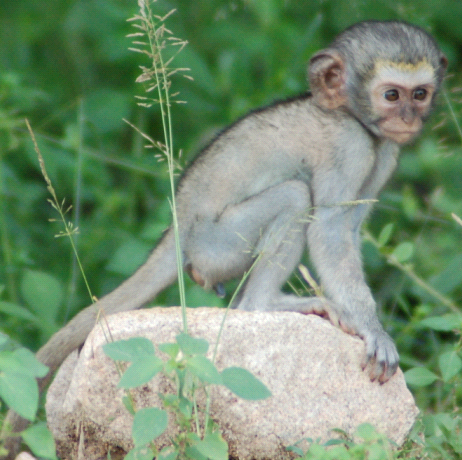 I love monkeys at the best of times, but this baby was exceptionally cute and still extremely young. As you can see he hardly has any hair yet and looks almost blue!